Ernest Hemingway became obsessed with the daiquiri after spending time in Cuba. This is my take on the special recipe created for him in his honor. 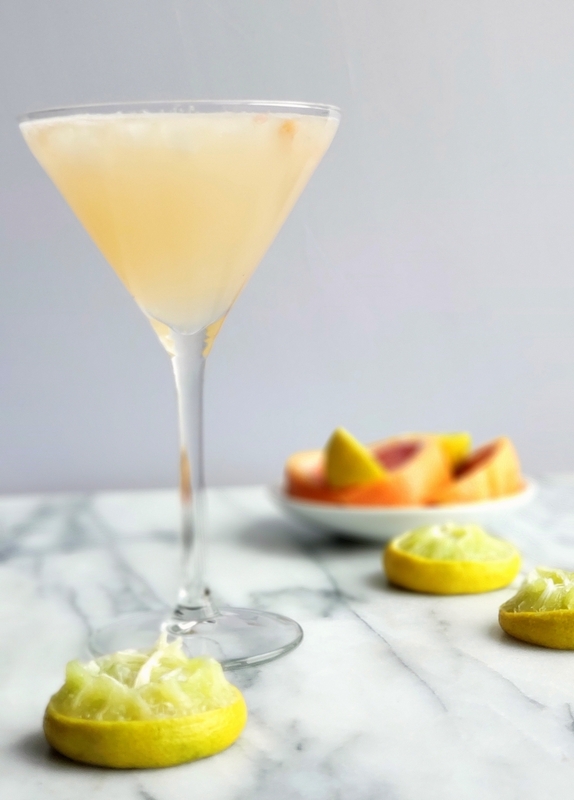 I love an icy, cold, cocktail and my take on the Hemingway Daiquiri ranks right up there with my versions of The Most Refreshing Lemon Drop Martini and The World’s Best Cosmopolitan Cocktail. It’s widely known that Ernest Hemingway enjoyed a drink or two, with much of his free time spent in bars in Paris, Key West and Havana. Cuba was most definitely his favorite escape during Prohibition to smoke cigars and drink rum. Hemingway had a love affair with the classic Daiquiri, but diabetes forced him to pay attention to his sugar intake. In 1921, Barman Constantino Ribalaigua, of the Floridita Bar in Havana, created the Papa Doble or “Hemingway Daiquiri.” The original recipe has no sugar (simple syrup) or Cointreau added, which I find unbalanced. 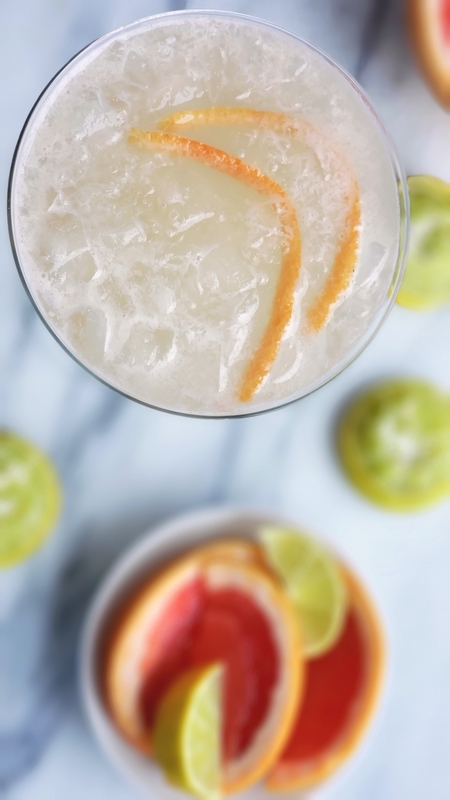 My version of the recipe has added mouthfeel and pops with just the right amount of citrus flavors. Maraschino liqueur is a must for every well-stocked bar and will become the secret weapon of your liquor cabinet. While Maraschino liqueur will never be the star of the show in any cocktail, it plays one the most important supporting roles in many classic cocktails. When it comes to the Hemingway Daiquiri, using the Maraschino liqueur allows you to lower the addition of simple syrup. 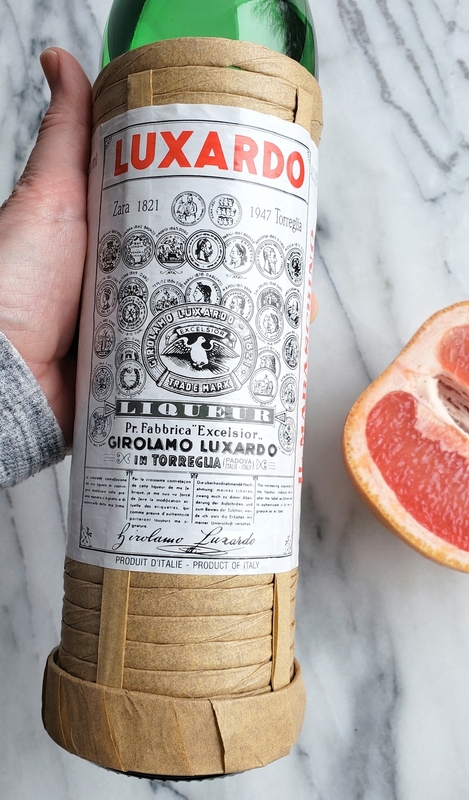 Maraschino liqueur and specifically the Luxardo brand is one of the very few liqueurs in the world produced by distillation. Luxardo is distilled in small copper pot stills from ripe marasca cherries, their crushed pits, honey, leaves and sprigs and some other proprietary ingredients. By leaving the cherry pits in with the fruit during distillation, a wonderful almond-like flavor shines through. The distillate is left to mature for two years in Finnish ash wood vats and is then diluted and sugared. Maraschino liqueur does not taste like cherries. In fact, the nose smells of lemon, pine and tree bark. Upon tasting, you’ll find the finished product to have a very floral, flavor profile, with a nutty mid-palette taste. It has a very clean finish with a syrup-like consistency. And even though Luxardo has matured for years in wood vats, it has a clear color. Unfortunately, there is not a good substitute for Maraschino liqueur. Kirsch does have a similar flavor profile, but it is completely dry, so using it will leave the drink unbalanced. 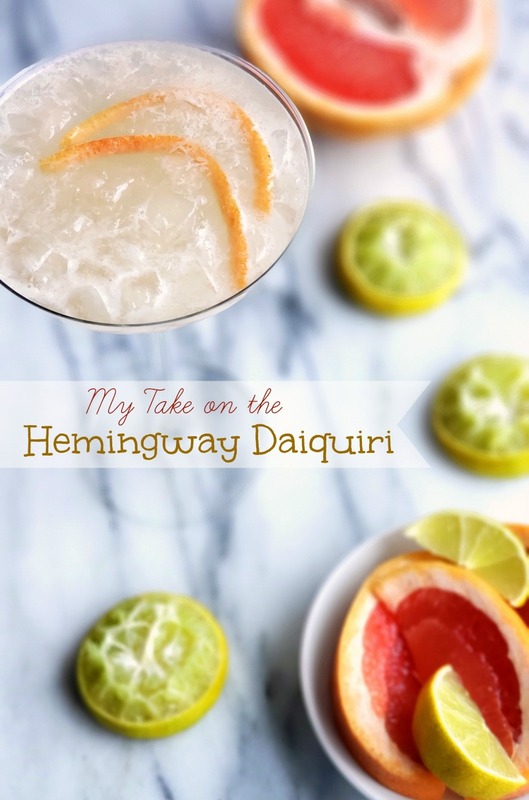 Might I suggest enjoying this daiquiri with my favorite Hemingway classic….what a perfect afternoon that would be. Strain into a cocktail glass (chilled is best). Float a small amount of finely crushed ice on top. 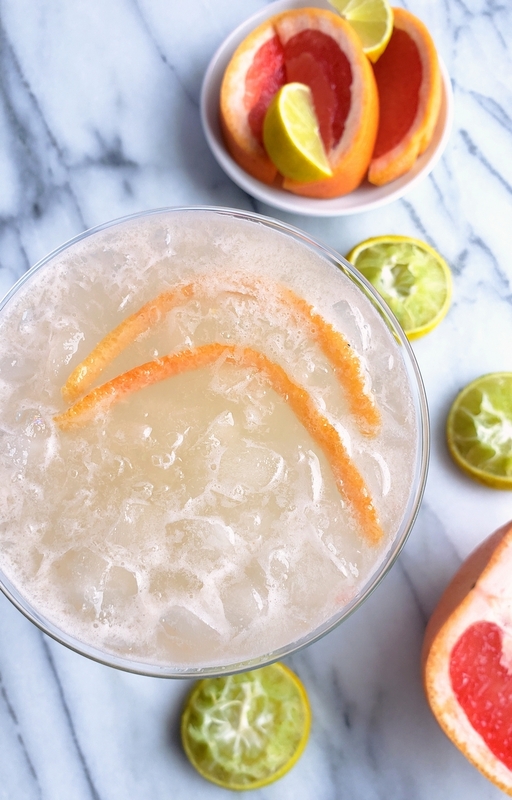 I’m obsessed with daiquiris, too, and need to pick up a few ingredients to give this gem of a cocktail a try! I can’t wait to make these. Hubby and I are going to indulge in these tomorrow! Made this recently for a party and it was a hit. This recipe is a keeper. Totally making these this weekend for me and my girlfriends! This looks amazing, I wonder if it can be adapted to be a Hemingway Collins, with the addition of club soda? Have you had it this way, do not like gin, rum is better. Thank you!! You could always give it a try and report back!